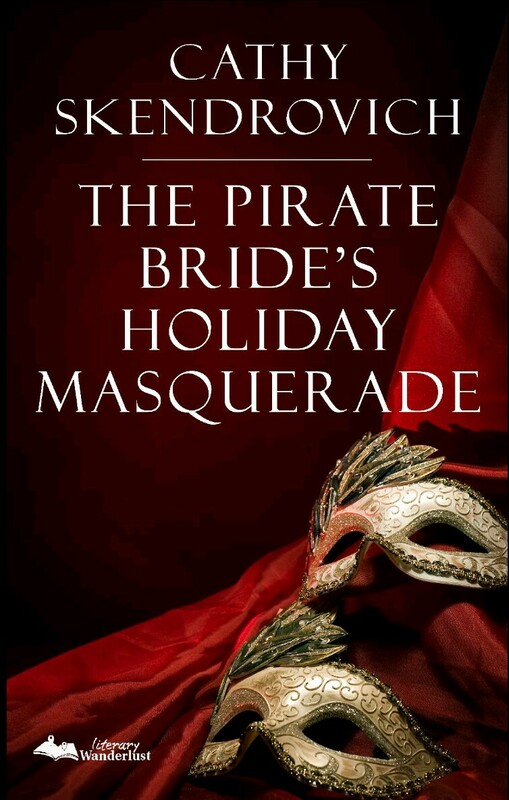 Today I have the great pleasure of teaming up with Cathy Skendrovich, author of Historical Romance/Pirate Romance The Pirates Bride to celebrate the release of her up and coming Christmas Pirate Romance Novella; The Pirate Brides Holiday Masquerade. I have an exclusive Interview with Cathy, two exclusive Excerpts plus my reviews for both of the Pirate Bride stories. her ability to write in both genres will be the beginning of a long and satisfying writing career. Frankie Hi Cathy, Welcome to Chicks, Rogues and Scandals! Thank you for taking the time to chat with me today. Firstly, what five word’s would you use to describe yourself? Cathy I love the Old West. I find that men were strong, yet courteous, and women were ladylike, yet smart and fearless. I like the Tombstone area of Arizona, as well as Albuquerque, New Mexico. Cathy My dad. He could do anything, and solve any problem. Cathy Fall. I love the changing leaves, the autumn breezes. Cathy Captain Andre Dubois from The Pirate’s Bride, because he’s such an Alpha male, yet he’s surprisingly gentle and understanding, in or out of the bedroom. Cathy Everywhere! My first book’s inspiration came from seeing a prison work crew working along the freeway. Its entire premise popped into my head then. My pirate series came from the POTC movies. I wanted Jack Sparrow to get a love interest, and he didn’t, so I wrote my own pirate novels. I like to write about strong women, so my ideas usually showcase them. rejection, and wasted a lot of time. 2. Build up your social media base! 3. Make sure you keep your author’s voice throughout edits. 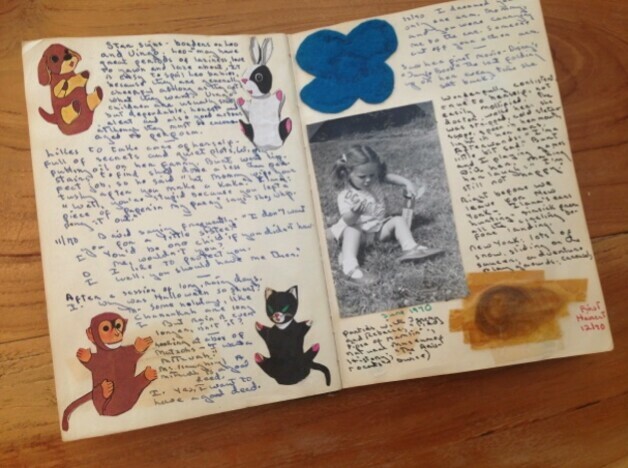 Don’t let your book be edited to the point you don’t recognize it anymore. Cathy Hmm. There are so many different possibilities. My mom, because she died so suddenly and I’d like to say I love you; my aunt, because she threw the best dinner parties; and Shakespeare, because I think he could entertain us all. Frankie Thank you for taking the time out of your busy schedule to chat with me today, Cathy. I have just one more cheeky question, just for fun . . .
Oh, yumm! Delicious, Thank you! If you want to find out more about Cathy and her work then why not follow her on social media and check out the links below? “No, Papa, I do not want to marry. You know that.” Sophie Bellard stamped her foot in the salon of her father’s house on St. Charles Street, outside of the decadent Vieux Carre. one disastrous, Sophie resolved to hang up her dancing shoes and become a captain in her father’s fleet. He didn’t agree. been purchased with pirate booty. Who doesn’t love Pirate? 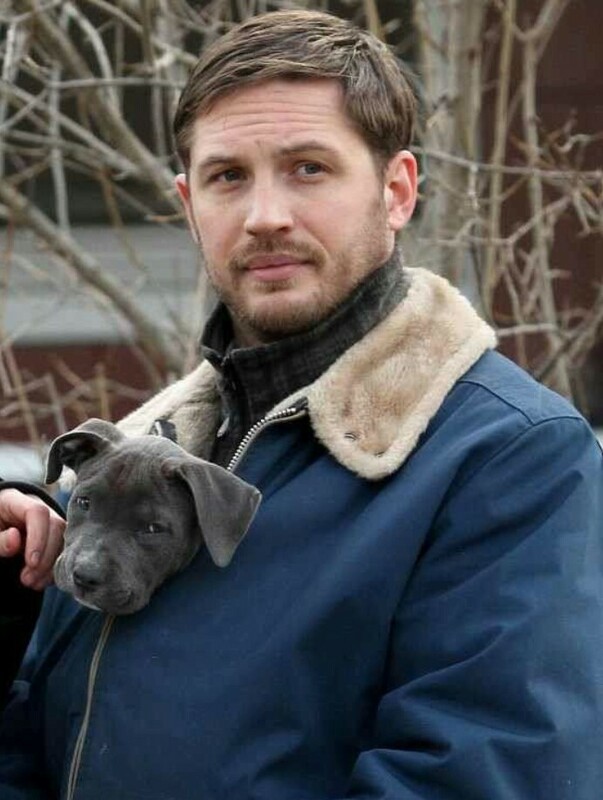 I for one am not immune to their dangerous and roguish charm and this filled to bursting with sinful Pirates. The most feared and lethal Pirate to ever sail the sea’s, Andre Dubois is summoned by the Confederation of Pirates to attend a meeting none only than the Commandant himself, or more commonly called to Andre; Father! Andre and his father have never been on the best of terms, so he’s not ecstatic about having to see the great Luis Dubois but he knows that his father holds all the cards and Andre has no choice but to go and see what the old man wants with him this time or more importantly how much more of Andre’s plunder does his father want to take from him this time? But what his father actually wants from his son is more horrific than Andre could ever imagine, Luis Dubois is being challenge for his Commandant position in the Confederation and the only way for him to keep his position he has to have heirs to hand the title down to which mean that Andre has to marry and bear heirs. But the good news is that Louis and the very man who is challenging his position have made a deal, that both their children marry each other. Andre has no choice but to do as his father and Commandant tells him and he must marry Anton Bellard’s daughter; Sophie. Sophie doesn’t want to be forced into this marriage any more than Andre does, she would much rather follow in her magnificent father’s footsteps and become a pirate. She wants her own ship, her own crew and she wants the independence to do and go where she likes, she doesn’t want to be tied down to a man she hasn’t ever met. But she also has another reason that she cannot marry and one that shames her, her dirty little secret could be found out if she marries. But her father firmly put’s his foot down and she has no choice but to do as she is told. Within a two week’s Sophie and Andre are man and wife and Andre and he finds out her secret, and he without waiting to hear her explain he runs out and sails off on the Jade Princess without a backwards glance at his innocent young bride. Just weeks later after being deserted by her so called husband Sophie’s papa passes away, leaving her alone. She decides now is the time she can finally do what she has always wanted to do, be a Pirate! So, she goes to the one man who can help her do just that her father-in-law; Louis Dubois. Nearly a year later Andre returns to his old stomping ground after being around Asia only to find that he is being challenged for his rights to plunder his part of the ocean by a new ship; the Phoenix. He is furious that this new Captain would be so brazen and dare tread on his ground but what the real surprise is when he meets the Captain. Who just happens to be his wife! Captain Sophie Ballard Dubois at first wanted revenge on her estranged husband for his callous behaviour but once they come face to face all things change, she has transformed herself from the meek little abandoned young girl to this proud, brave and ruthless pirate who in her own right has won over her crew of equally ruthless pirates and has taken her estranged husband’s place on what he claims as his part of the sea. She has done all this with shear brazen gut and intelligent, she has never shown fear and always done what is best for her and her men but when she comes face to face with Andre she is in a bit of bother. She may have been forced to marry him but she began to have feelings for him, feeling that she has squished and now have come to the surface. Can she hold her own as she has done so many times before, with her own husband? He is just in pure shock that the lying little hoyden who turned his world upside down has the nerve to do this to him, she has been nothing but trouble the minute he met her but his body and his senses are responding to this brazen female. He hates to admit that she has got under his skin and he is drawn to her more than he has ever been with any other woman, Andre has always prided himself on being able to have his fun and move on but everything is different with her. I like Sophie and Andre’s complicated relationship it started off rough as they were forced to marry one another and then when he finds out her dark secret the gap between them grows and over the months they grow further and further apart and they also grow as people. Yet, you do sense that sexual tension between them they are both so reluctant to trust the other. They have both built up this wall around them – which does make them the great Pirates they are, but once they reunite those barriers slowly come down. Sophie went through an awful ordeal and the way that Andre has treated her is just as bad as what she went through to begin with, he wouldn’t give her the chance to explain he just saw what he wanted to see and that gave him the opportunity to leave again. The way Sophie has gone and rebuilt her life and come out the other side as this strong, ruthless woman who gets what she wants, she is quite the inspiration! Whereas Andre, he did take some time to come to like. I at first thought him to be very callous and harsh and he was very cold, but once all that was stripped away and they start getting to know one another he is genuinely a very attractive and interesting man. 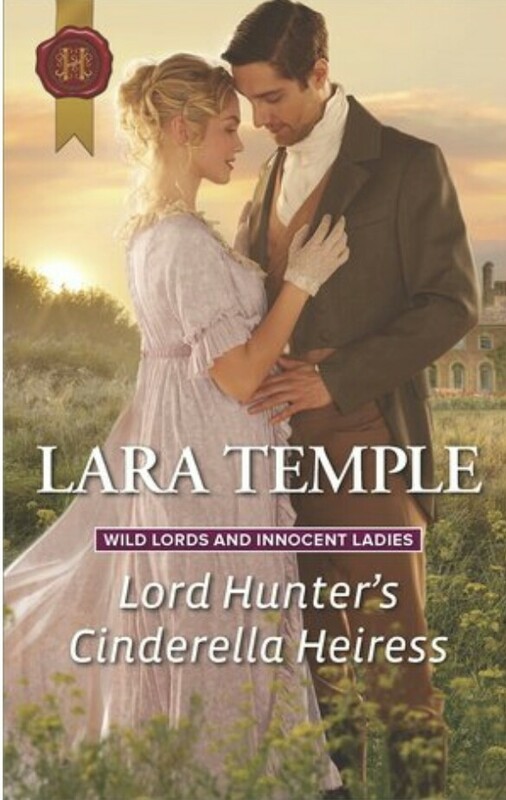 Over all, I did really like this it isn’t your regular Historical Romance and I like how different it is to other book’s in the genre. Skendrovitch is a charming and imaginative author who takes the reader on a thrilling ride across the sea’s, with the most intriguing and complicated couple you will come across. If you like handsome Pirates, thrilling adventure, and twists and turns that can make your head spin than this is perfect for you and I do very much recommend it. This was an ARC copy vis the author in exchange for an honest review. Sophie’s head snapped up at the sound of the unforgettable voice from her past, while her purse fell to the cobbled street from suddenly nerveless fingers. Her body began to shudder and vibrate at the nightmare that was Gilbert Harrington’s silky voice. She felt faint, in danger of collapsing, her past hurtling toward her like an out-of-control mining cart threatening to jump its track. She reached out a steadying hand against the brick wall of the flower shop. catapult her into a shivering mass of fear and dread. to come swinging in on a line, clenching a curved blade between his teeth and racing to her rescue. She was his defenseless prey. through the haze of fear blanketing her, as she stared straight into his smiling visage. He stepped back a short pace. The Pirate Bride Masquerade is the sequel to “The Pirate’s Bride” it is years later from where we last saw our couple and I am pleased to say that Sophie and Andre Dubois have gone from strength to strength they have got over their initial complicated relationship of each other and now they have got to know each other they are finally living as man and wife. It is nearly Christmas and as always Andre has set a course to one of their island to spend the holiday on the “Jade Princess” as they always have done but for some reason – that will be understood at the end of the book – Sophie wants to spend the holiday on land, Andre has become quite the doting husband since we last saw him. Gone has the manipulative and selfish man that dominated the previous book and in his place, is a really endearing, protective man who loves his wife with all his heart and he will do anything she asks of him. Even risking his life by going back to home and possibly being caught by the British for Piracy, something he would never have contemplated before. They land at La Nouvelle-Orléans where hey set to celebrate the festive season with the Commandant; Louis Dubois, who I am pleased to say is as fun and dashing as he was in the previous book. 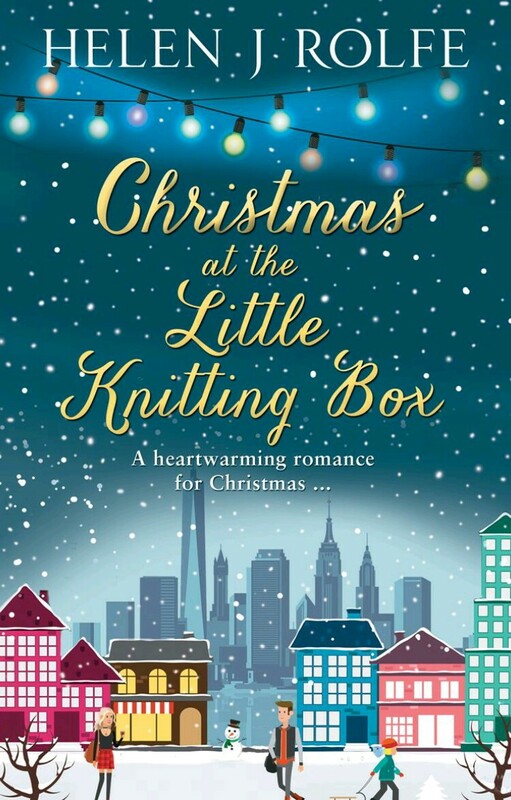 Louis is so pleased to have his son and daughter-in-law with him for Christmas that he decides to hold a festive masquerade party, but all doesn’t exactly go to plan as two things happens that could ruin everything, firstly Sophie becomes seriously ill and Andre is in turmoil as he can’t help his sick wife. He is on the edge and all his power and fierceness cannot help her all he can do is watch and hope and pray that whatever ails her will leave her. Secondly a blast from Sophie’s past makes an unexpected and unwanted appearance that could ruin Christmas, now this creature who raped his wife thinks he can get away with what he did all those years ago but what he doesn’t realise is that the fierce and deadly Pirate is on the edge and this is one thing that Andre can help with. Will Sophie recover and will Andre settle old scores? But more importantly, will they have their masquerade? 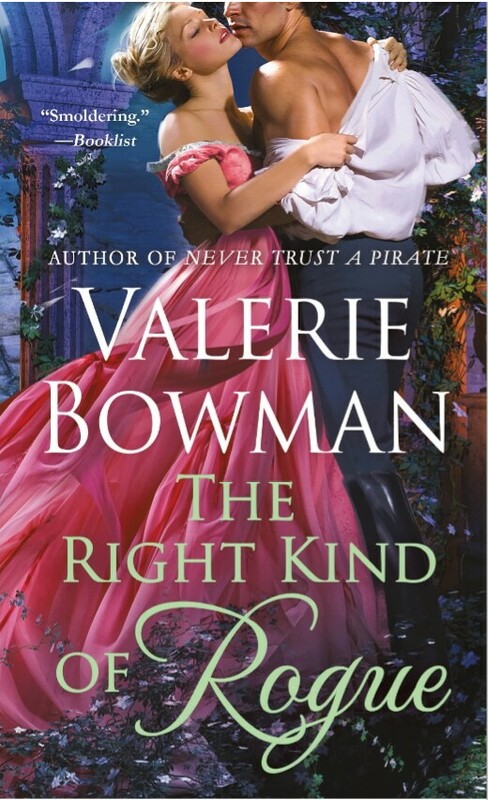 This is a sweet and festive Novella and like The Pirates Bride it is hugely enjoyable, The Pirate Bride Masquerade is perfect for those that are first starting out in Historical Romance, with it being a Novella it’s not taxing to read but very enjoyable. I highly recommend Both the Pirates Bride and The Pirate Brides Holiday Masquerade. The Pirate Brides Masquerade is released on 1st October and can be pre-ordered at Amazon. * Excerpts, Cover Pictures and Profile Picture were provided by the author to Chicks Rogues and Scandals in conjuncture with this Interview and Spotlight. 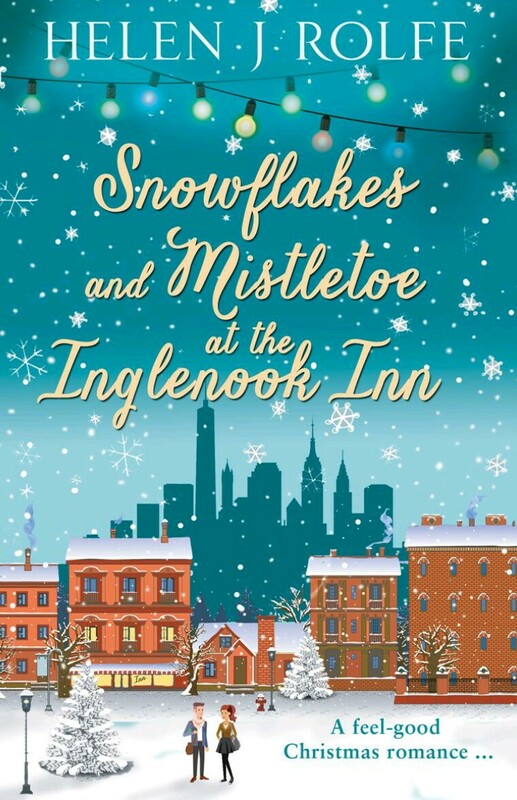 This entry was posted in ARC, Exclusives, Historical Romance, Interviews, Reviews, Spotlight and tagged Author Interview, Cathy Skendrovich, Christmas Romance, Exclusive Excerpt, Historical Romance, Interview Exclusive, Pirate Romance, Review, Spotlight, The Pirates Bride, The Pirates Bride Holiday Masquerade.